we will talk about how you can start programming in python language? or What is python? or what are the usages of python language? 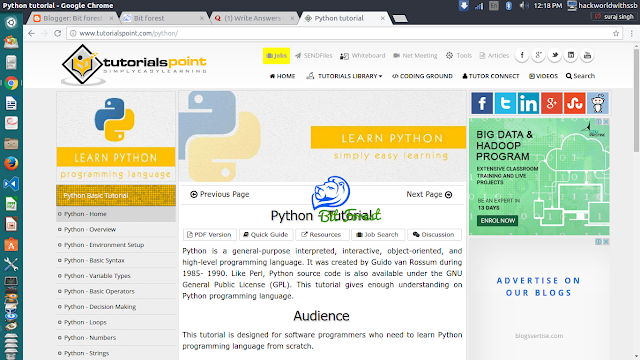 or best sources for learning python language and which websites are useful for learning python or from which you can download python example tools. First of all, I feel Proud to Introduce my own blog for Python Tutorials, my YouTube Channel For Python Tutorial Videos and GitHub For very good python tools collection as an Examples. 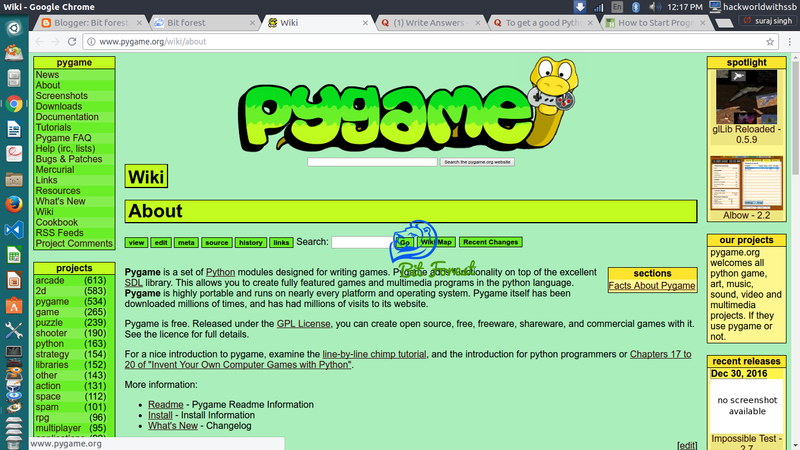 For More Info About Our Python Example Please Visit Our GitHub Page. Q.1 What is python language? Ans. Python is a programming language that is freely available and that makes solving a computer problem almost as easy as writing out one's thoughts about the solution. It can be written once and run on almost any computer without needing to change the program. As Python Official Website Says, "Python is an interpreted, object-oriented, high-level programming language with dynamic semantics. Its high-level built in data structures, combined with dynamic typing and dynamic binding, make it very attractive for Rapid Application Development, as well as for use as a scripting or glue language to connect existing components together. 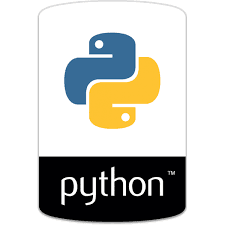 Python's simple, easy to learn syntax emphasizes readability and therefore reduces the cost of program maintenance. Python supports modules and packages, which encourages program modularity and code reuse. The Python interpreter and the extensive standard library are available in source or binary form without charge for all major platforms, and can be freely distributed. Often, programmers fall in love with Python because of the increased productivity it provides. Since there is no compilation step, the edit-test-debug cycle is incredibly fast. Debugging Python programs is easy: a bug or bad input will never cause a segmentation fault. Instead, when the interpreter discovers an error, it raises an exception. When the program doesn't catch the exception, the interpreter prints a stack trace. A source level debugger allows inspection of local and global variables, evaluation of arbitrary expressions, setting breakpoints, stepping through the code a line at a time, and so on. The debugger is written in Python itself, testifying to Python's introspective power. On the other hand, often the quickest way to debug a program is to add a few print statements to the source: the fast edit-test-debug cycle makes this simple approach very effective." Ans. Approximately Python 2.x and Python 3.x are Same or You Can Say Equal. The Difference is only some syntax and unicode in python 3 are good. But I will Suggest You To Go With Python 2.x Because There Are Tons of Library that's Supports Only python 2.x. Q.3 How to Setup Python Environment? Ans. To Run The Python Script, We require Python interpreter. The Windows Python interpreter can be downloaded for free from the Python website. Make sure to download the correct version for your operating system. You should download the latest version available. OS X and Linux come with Python already installed. You will not need to install any Python-related software, but you may want to install a text editor. Most Linux distributions and OS X versions still use Python 2.X. There are a few minor differences between 2 & 3, most notably the changes to the "print" statement. 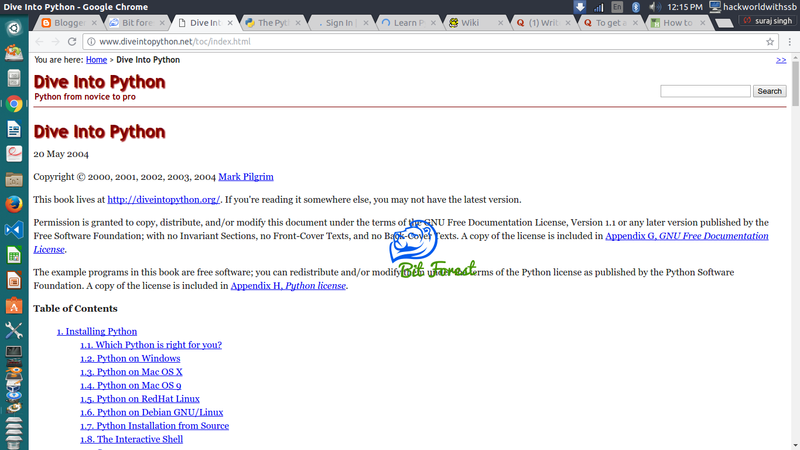 If you want to install a newer version of Python on OS X or Linux, you can download the files from the Python website. 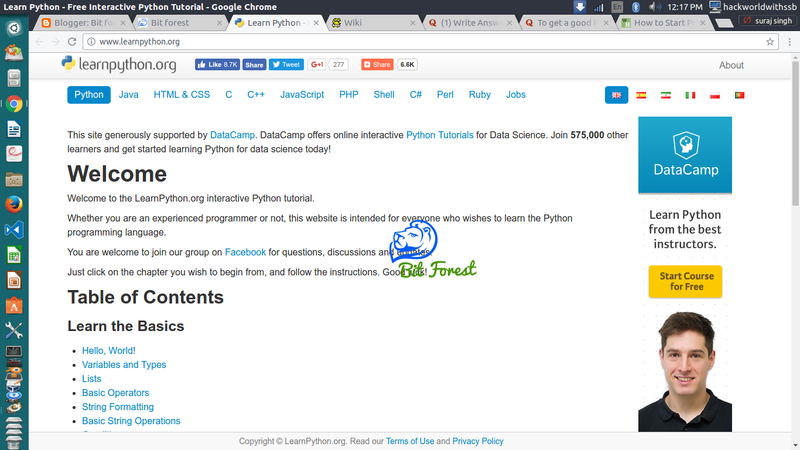 Q.4 Best Website For Python Tutorial? Ans. There Are Many Websites available on internet for providing free python Tutorials. Q.5 How much Time we need to be an expert? Ans. This is depend on your capabilities. if you works very hard and giving your 100% for learning then you can achieve your goal in very small time. 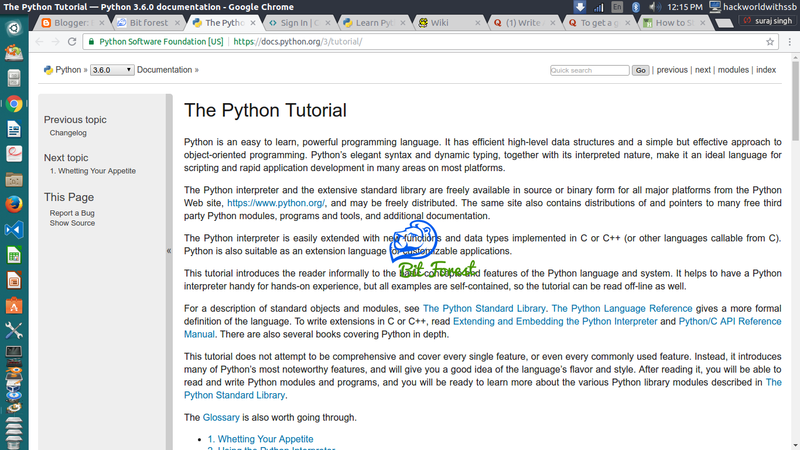 I think Python Programming is very big topic. So, its can takes 5-6 years hardwork. 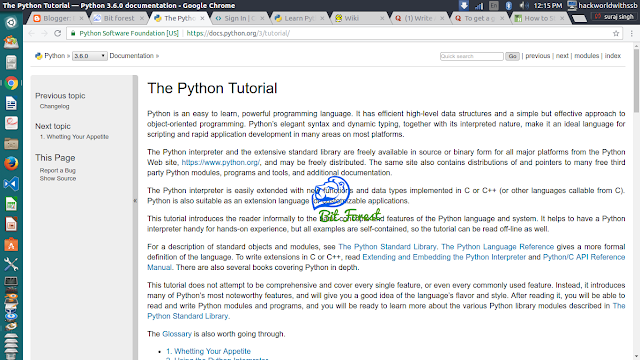 Q.6 How to Polish Our Python Programming Skill? Ans. 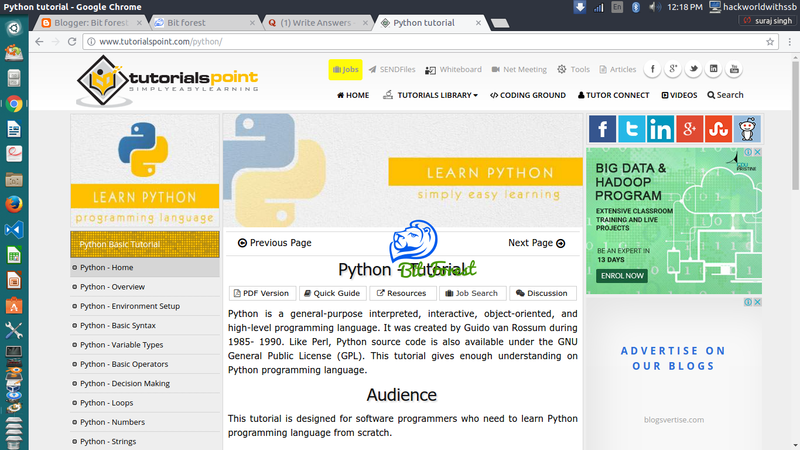 For Polishing Your Python Skill, Take Participation on Python Projects, Create Your Own Python Library, Create Your Own Projects, Read Books Related to Python Programming etc. There are lots of good books available for Python programming, including, "Python for Beginners", "Python Cookbook", and "Python Programming: An Introduction to Computer Science".